Mr. Junk isn’t the only company you can call to haul unwanted junk, but we are the most thorough. We understand our customers’ needs and go to great lengths to leave them satisfied, whether or not a task was part of the original job. If we show up at a customer’s home to find more junk than anticipated, we simply discuss the changes with the customer and get hauling. And unlike many junk removal companies, we stick around afterwards to sweep up, scrub up, and pick up to leave your home, yard, or driveway looking brand new. 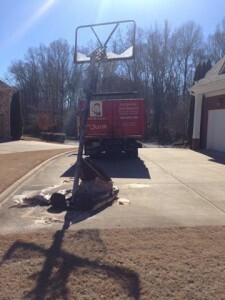 Our team recently removed a basketball goal for a local customer. 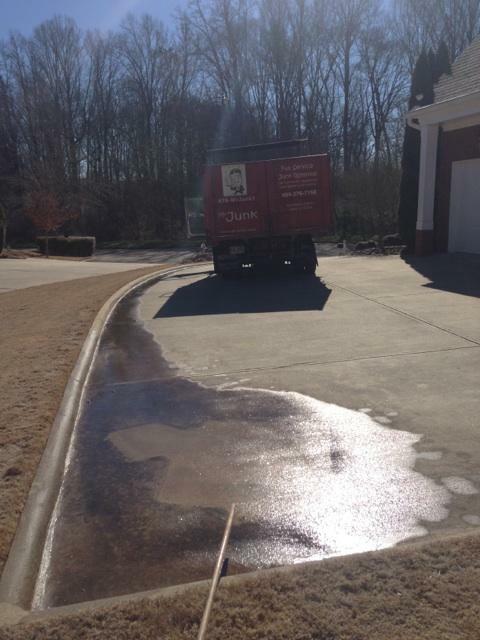 It was a straightforward job, but when we hauled away the goal, we noticed the driveway was stained from the spare bags of sand. They’d be sitting out in the rain for over 10 years! Instead of grabbing the hoop and hitting the road, we stayed and scrubbed the driveway. Another happy customer, and he didn’t have to lift a finger! 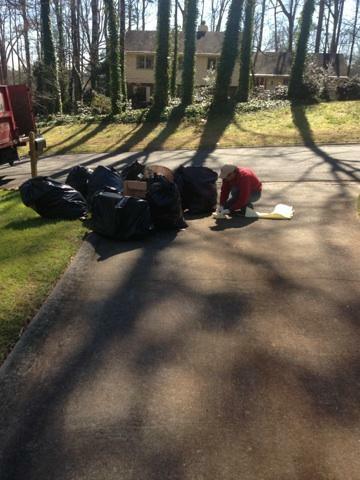 A customer of ours recently relocated to Alabama, and he called us to haul off the junk he and his sons left bagged by the curb. It was too much for the trash collector, but for Mr. Junk, it’s just another day on the job. 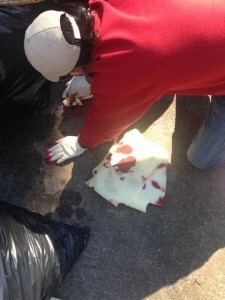 When we removed the bags, we noticed paint staining the concrete. It had leaked from a bag and dried. The water had been shut off at our customer’s home, so we visited the neighbors, who kindly let us fill buckets with water. 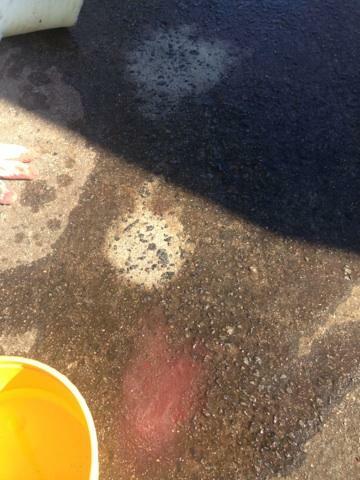 Then we scraped, scrubbed, and washed away the paint. Nothing beats a good steel brush! We let the customer know, and he couldn’t have been more pleased. Mr. Junk goes above and beyond to take care of our customers. Call us to remove unwanted junk from your home or business.